If there’s one game that can be odd and just about get away with it, it’s Jackbox, which has revealed yet another party pack is on the way. We’re now up to six, if you can believe it. In a trailer for Trivia Murder Party 2 – the sequel to Jackbox Party Pack 3’s grisly quiz game – a release date of autumn 2019 was dropped into the mix. I guess we also know Trivia Murder Party 2 is taking on a hotel theme, so you can live out The Shining with your buddies whenever you desire. 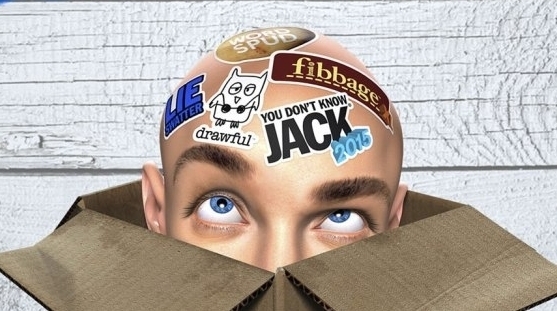 If you’re new to the series, Jackbox games typically allow multiple players to connect with a PC or console using mobile devices to compete in a variety of short party games. The previous entry in the series introduced some real gems, such as rapping game Mad Verse City and the unsettling Split The Room. Here’s hoping the king of all Jackbox games, Quiplash, gets a third innings in Jackbox Party Pack 6.